1. Pre-heat the oven to 350°. Melt the coconut oil and combine with remaining muffin ingredients in a food processor or bowl, mix well. 2. 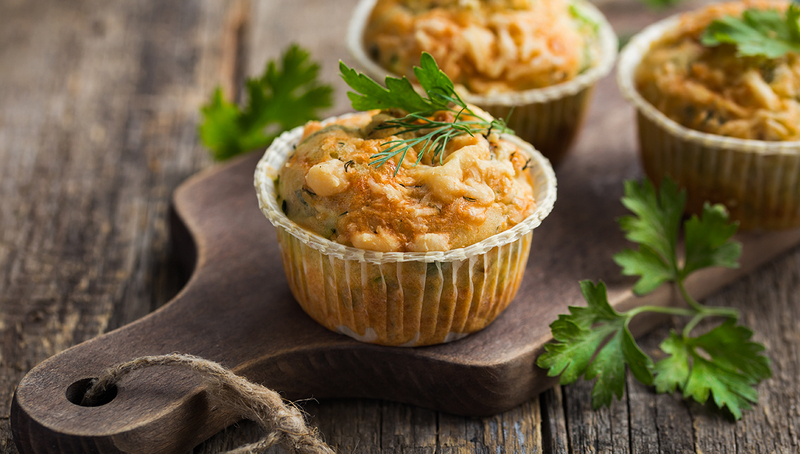 Place batter in a muffin tin lined with muffin liners. The muffins will rise a small amount, so you can fill the muffin liner about ¾ full–almost to the top. 3. Bake for about 20-30 minutes or until a toothpick inserted comes out clean and the tops are slightly browned.